University West Trollhättan has a research group at the Production Technology Centre in Trollhättan. This group is doing research in the fields of Welding, Thermal Spray, Additive manufacturing, Machining and Robotics. PTC Innovation AB is a spin-off company working with commercialization of the research done at the University. The company works with advanced development of manufacturing processes and related services with primary focus on thermal spraying, welding and machining. We are located at the Production Technology Centre in Trollhättan. This research centre has advanced equipment and everything needed to develop new, smart production methods to strengthen the competitiveness of technological companies and to maintain industrial production in Sweden. 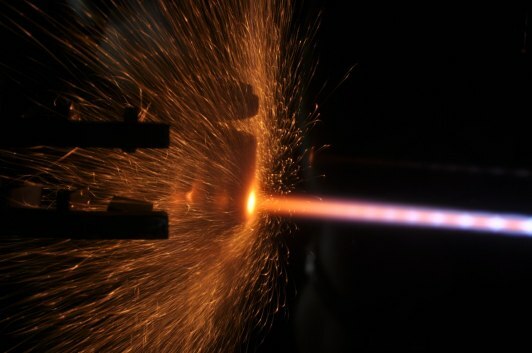 Mettech.com Axial III plasma spray technology. June 7-9 we will be at ITSC Thermal spray conference, Dusseldorf. You can meet us at the Uniquecoat booth, welcome. PTC Innovation AB have sold a HVAF M3 system to the Swedish company Thermal Spray Engineering AB, Malmö, TSE AB. We have signed a cooperation agreement to have TSE acting as our production facility and where PTC innovation acts as the research and development department for TSE. PTC Innovation AB hereby have the possibillity to scale up projects/production capacity to the customers need. PTC innovation is now a Agent of Mettech Axial III technology. Our focus is on application development for customers with Mettech Axial III APS and SPS (plasma) as the solution. Our focus is on application development for customers with HVAF as the solution.